The fourth season of the television series Game of Thrones is almost at an end. 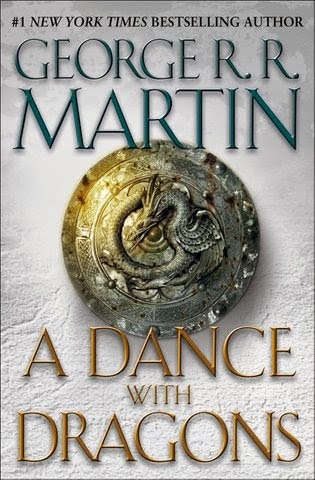 The show has, so far, been extremely faithful to the series of books by George R. R. Martin, of which A Dance with Dragons is the fifth instalment. Most scenes quote the novels verbatim, characters are portrayed almost with an air of secret fandom and shooting locations range from Iceland to Croatia. This is brilliant, of course and the first three books in the series make for perfect TV material. Immersing yourself in the world of Game of Thrones is rewarding in both the short and long-run. After four seasons on television, Game of Thrones has now almost exhausted the material from the first three books. However, the directors of the show will soon face a serious problem. As I mentioned before, the fourth book, A Feast for Crows, is a whole lot of wandering around by minor characters and almost no plot advancement. Turns out that A Dance with Dragons is more of the same, only with slightly more interesting characters. The problem is that both A Feast for Crows and A Dance with Dragons are almost void of any actual character development or action. As readers of the other books in the series know, this season of the television show will end with some of the most iconic events of the whole show. At that point of the story, it almost felt like Martin didn't actually need to go any further. Most of the tension had been resolved - at least from a narrow point of view - by some of the most brilliant turns of events I can imagine. Not only is A Dance with Dragons extremely slow in its pacing, it is also excruciatingly long. I can only imagine what it must feel like to read this brick of a book without a Kindle. A Dance with Dragons doesn't even feature dragons for the first 1000 pages and even then they only spew some fire and bugger off. Most likely, Martin is facing some trouble tying all the plot lines together and resolving the more minor conflicts. Who can blame him? The task of keeping track of all the events, characters and locations is almost beyond any one man at this point. There have been some indications that the show might catch up to the novels before Martin has time to finish the sixth book. This might actually be a good thing. If Martin has all of the action lined up for the rest of the story, why not let the brilliant TV crew do what they do best. Enthusiasm for the show is soaring, and rightfully so. In a queer turn of the tables, a television show shows more potential than its literary counterpart.